Investment requests are granted based on the nonprofit organization's ability to meet our giving criteria, as well as availability of charitable funds. Although there are more deserving charitable organizations in all of our communities than Incept Gives is able to support, our Gives Hope programs makes every effort to assist as many qualifying nonprofit organizations as possible. Incept sponsored a room at the Ronald McDonald House in Akron in order to provide families with a low cost way to stay near their child during treatment at local hospitals. Incept funded 2 pediatric wheelchairs and 6 standard chairs for Akron Children's Hospital patients. Incept sponsored the 2017 Casino Night in order to help raise enough money to build a gymnasium and two new classrooms to increase the number of autistic children that can be served by Idea House. Incept hosted a month long food drive to benefit the Akron-Canton Regional Food Bank that provided 9,756 meals to local residents from 2,118 pounds of food and monetary donations. Incept sponsored the Akron Rotary Club's annual Regatta in order to raise money for the Rotary Camp for children with special needs. 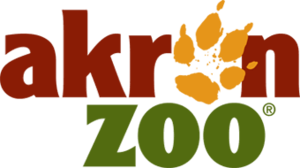 Incept made a monetary donation to the Akron Zoo to help cover the cost of food and care of the animals at the facility.